The MCC I2C Bus Monitor Plus USB Cable Driver provides support for the MCC I2C Bus Monitor Plus USB Cable Interface. This USB adapter, when used with V3.1 or later I2C Bus Monitor Plus software, provides a USB interface to the I2C Bus Monitor Plus pod. Adds USB interface support for I2C Bus Monitor Plus. Adds International Language support to Driver Installer. v1.1 not required for previously installed versions of the driver. This copyrighted product update is offered free of charge to users of the MCC I2C Bus Monitor Plus. Its use is covered by the MCC license agreement available during installation. NOTE: MCC recommends that you leave older versions of driver files on your system. Other devices on your system may reference older versions of drivers and may stop functioning correctly if the driver files are removed. Download and save-as the ZIP file into a folder. Right-Click the downloaded ZIP file and Extract All (Uncompress). Read and accept the enclosed End User License Agreement. Unplug the MCC I2C Bus Monitor Plus USB Adapter(s) from your PC USB port or USB hub. For 64-bit Windows OS: Double-click MCC_USB_iBMPUA_Installer_x64.exe. For 32-bit Windows OS: Double-click MCC_USB_iBMPUA_Installer_x86.exe. To load the new driver, plug the MCC I2C Bus Monitor Plus USB Adapter into a USB port or self-powered hub. Windows will automatically load the driver. 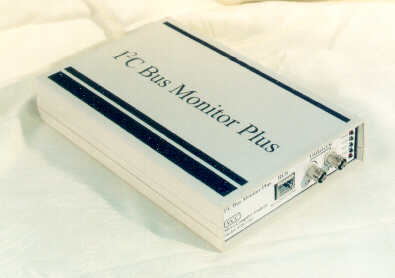 Use the I2C Bus Monitor Plus software v3.1 or above to access the pod.